The evidence of an imminent launch of the new Nexus 10 condense. 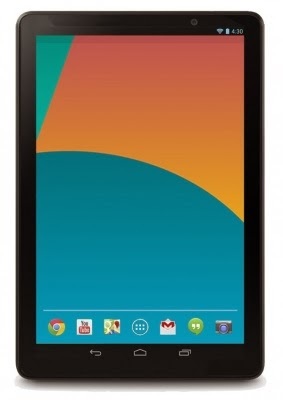 Now the tablet is even first appeared in an online shop. The British supermarket chain Tesco had the device listed briefly before it was hastily taken offline again. In the meantime, however, a Reddit user could make screenshots of the product page. 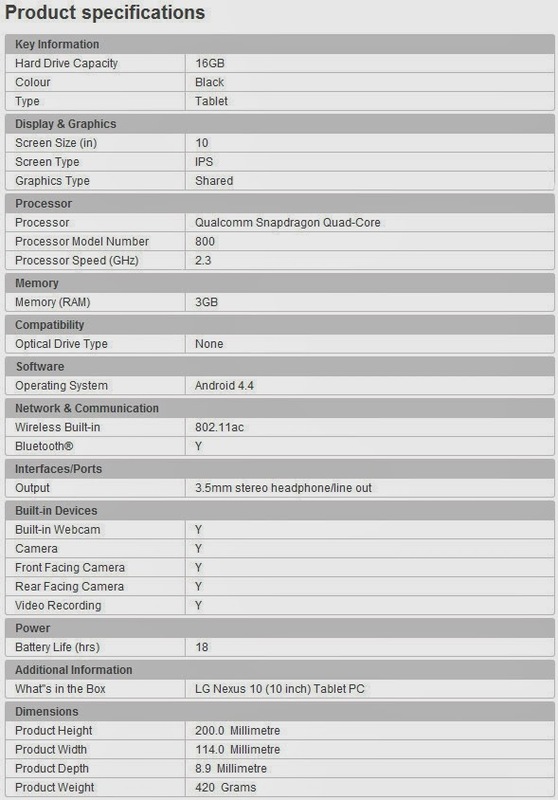 These list the exact specification of the next Google tablet. Accordingly, a resolution of 2,560 x 1,600 pixels is represented on the 10 -inch IPS display. The processor of Qualcomm Snapdragon 800 comes with a clock speed of 2.3 GHz is used; the memory is sized properly sized with 3 GB of RAM. Wi-Fi is sparked by the new 802.11 ac and Bluetooth is also on board as a matter of course camera on front and back. The internal memory is 16 GB and is probably, like Nexus devices usually cannot be increased. The battery life is specified at 18 hours and the weight of 420 grams According to the data sheet of the new Tesco Nexus 10 will actually be selling from the 22/11/2013 to the price of 299 British Pounds (about 360 Euros). LG recently handed in after good work on the Nexus Smartphone, the South Koreans and the latest rumored next Nexus tablet may seem finished. First it was a few weeks ago were saying that Asus come to train, but now supposedly leaked images suggest to LG. 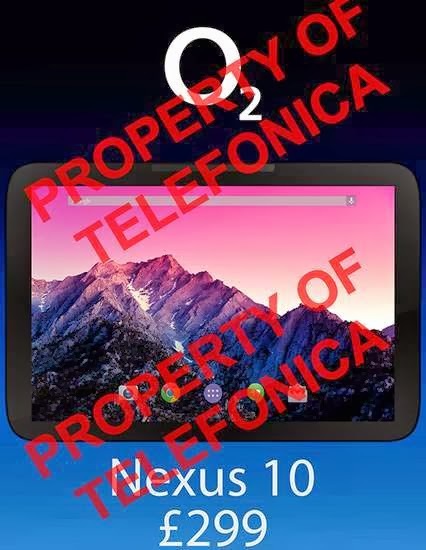 Independently emerged in recent days on two images that allegedly show the new Nexus 10th Both graphs show clearly the same tablet and should once come directly from LG and one of Telefonica/O2 from the UK. 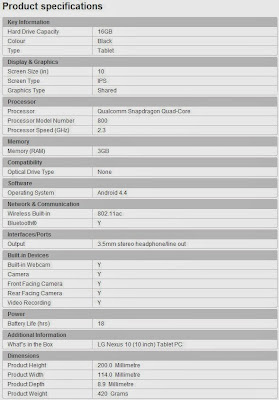 Accordingly, the tablet bears the model name LG- V510 and should cost 299 pounds (about 360 Euros). The official launch is supposedly on Friday the 22th November 2013 instead.